How do men care for themselves? 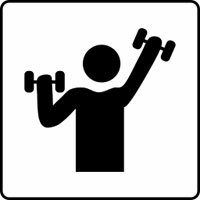 Women have any number of things that they use to take care of themselves, including cosmetics…. We shave.! Shaving is how we take care of ourselves and change our appearance as it suits us. Shaving is our way of pampering ourselves and feeling good about the way we look. Our faces deserve better than the single blade, Dollar Store brand razors that cut our face and leave behind razor burn and stubble. The solution to our dilemma? A safety razor. Safety razors can be a bit of a challenge to navigate when trying to find the best one. So, we’ve put together some information, an overview chart and a few reviews on some of the best safety razors out there to help you in your quest to take care of the beard, the skin, and the man underneath. 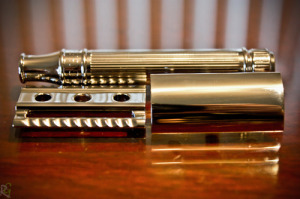 Safety razors began their course in our lives in 1880 as a single-edged blade attached to a handle at a right angle. The head of the razor was “safe guarded” by a protective comb. About twenty years later, King Camp Gillette introduced a disposable, double edged razor. His design became extremely popular and was soon the standard razor distributed to the american military during World War 2. In present times, when you mention “safety razors”, most people typically think about those antique, old-timey, razors that everyone’s grandfathers used to use; the kind that are very manly in appearance. 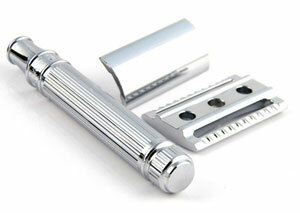 You can still find safety razors in both single and double edged designs. All truth be told, technically, even some of the more popular razors, like the Gillette Mach5 are technically safety razors. There are a lot of benefits in choosing to make the switch and use this particular shaving instrument. 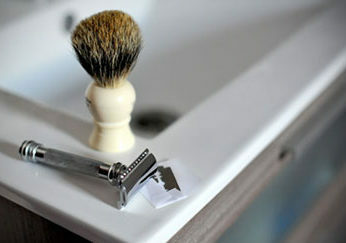 First, and possibly most important to most of us, is that you gain a MUCH closer shave. If you wanted a close shave before safety razors, you would have had to visit a barber shop and allow someone practiced and skilled, with a steady hand, lather and shave your face with a straight razor. A straight razor is the ONLY way to get a closer shave and let’s face it, learning to use a straight razor is really, REALLY tough. Aside from the fact that they’re dangerous in the hands of an amateur, it would take A LOT of smooth talking to find a guinea pig willing to let you hone your skill by practicing on them. Most of the time, no one really cares if you’re risking your own life getting into something new, but to risk someone else’s is a whole other bowl of beans. Second, and first to the remaining few, choosing to use a safety razor is cheaper in the long run. 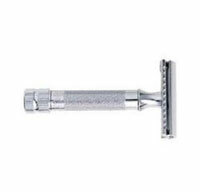 Okay, so maybe the initial purchase for your safety razor isn’t so cheap, usually anywhere between $30 and $200 depending on how ‘luxurious’ of a model you want to buy; but in the long run, you’ll spend a lot less money to purchase new blades. Yes, you can find single and double edged blades, but the double edged blades are actually cheaper and provide you with a closer shave. So, in addition to the double edged blades being the more frugal financial choice, you will most have to shave less often and that will save you money too!!! Third, it will stroke our egos. I know this may sound a bit petty, but we all need to keep up with our sense of self worth sometimes, and we like being the envy of our friends too. So, when someone comes into our bathroom and sees a nice, chrome razor and shaving brush it strokes our ego. When we get to tell them that investing a little bit of money up front has actually saved us money as well as giving us the closest shave we could ever get at home, that strokes our egos as well. I’m sure if you try a safety razor, you will find all three of these advantages and even more! Okay, now that I’ve piqued your interest in safety razors, let’s discuss how one would go about finding the best one to suit your needs. 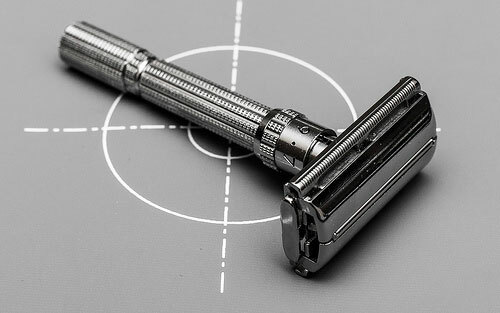 When preparing to buy a safety razor, the four most important factors to consider are the weight, bar style, comb style, and number of parts. In Shaveology 101 (ha-ha) we have all learned that you don’t want to pull a razor across your skin. You want the weight of the razor to do most of the work for you. Keep this in mind when choosing your safety razor, because while the weight won’t directly affect the performance of the utensil, it will affect your level of comfort and your ability to shave. This is all up to personal preference, but if you choose a razor that’s too heavy, you will sacrifice some control and if you choose a razor that’s too light, you may end up not getting the shave that you desire. The comb, aka ‘rake’, is the safety part of the bar. You can choose from a closed- or open-comb style depending on the type of shave you want to achieve. If you are just starting out, you may want a milder shave and that would require the closed-comb style bar. The open-comb bars deliver a more aggressive shave, and again, are more attuned to taking care of thicker/coarser beard. If you alternate on which shave you like, then it may be worth mentioning that you can find some safety razors with a dual-comb bar, meaning it has an open-comb on one side and a closed-comb on the other. The last important consideration is the number of parts. Really, the only affect the number of parts will have on you, is the time it will take you to change your blade(s) when the time comes. Safety razors are made of either one, two, or three parts. Handle, base-plate, and bar are the three parts (aside from interchangeable blades of course). The two part models have the handle and base-plate as one piece, and the all in one models have a turn-to-open knob for changing out blades. Again, this choice is left solely up to personal preference. 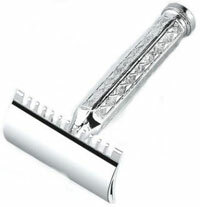 The Edwin`Jagger De89lbl is a 3-piece shaving instrument. It looks like a cross between an closed- and open-comb bar style because it has a closed-comb with grooves in it. It comes in a nice, black box and has a shiny chrome finish. 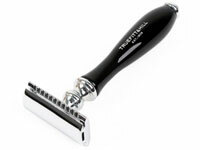 Priced under $50 it is an exceptional mid-weight razor for a small to mid-range price. 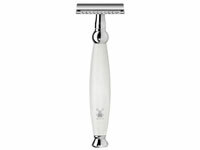 For that mid-range razor, you are getting an extremely smooth, somewhat aggressive, shave. The only downside that I can see to this razor is the chrome finish. While it looks manly, (because what guy doesn’t like chrome?) it is easy to taint the finish and smudge it up to where it needs to be polished. So, it’s not a huge downside and could be rectified by the purchase of a lint-free polishing cloth. Edwin Jagger is a brand that puts a lot of effort into styling their products so that we feel like distinguished gentlemen when using them, and it works! 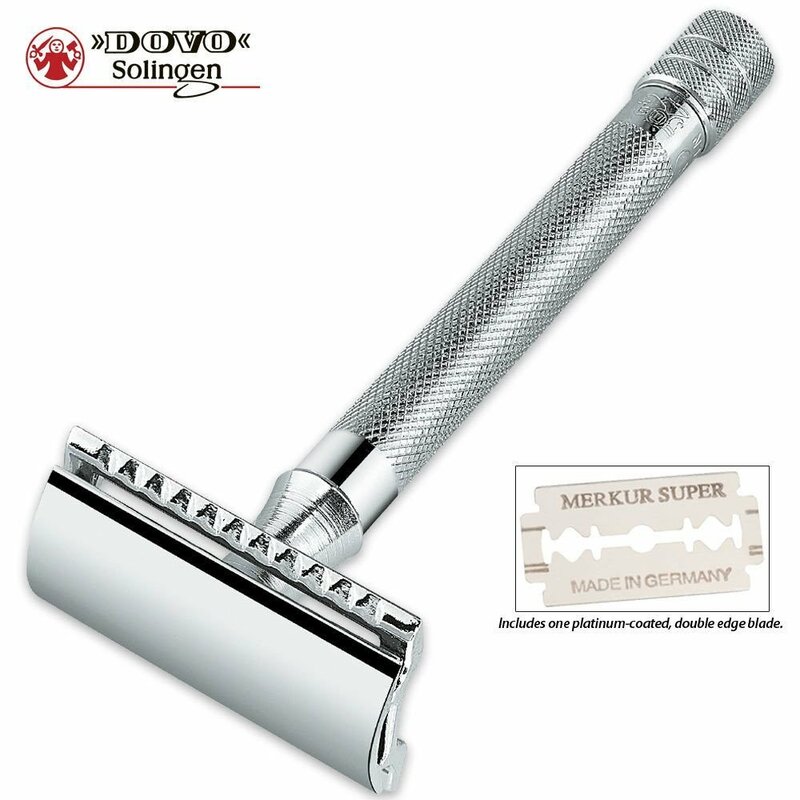 The Merkur 1904 is another 3-piece razor. This one features a hexagonal handle that makes for easier handling and control. 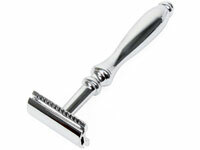 The 1904 is a tame razor with an open-comb style and with a price point of around $30 it’s a great beginner’s razor. It is a light-weight razor that’s balanced just so-so. This makes it difficult to keep from pushing the razor into the skin to try and achieve the shave you want. With the design of this razor, you also have to be VERY careful when tightening the screw that holds the razor blade in place because it’s not uncommon for that sharp, double-edged blade to slip and draw blood. While the open-comb design is more suited to a heavier beard, I fail to see the advantages to choosing this one above any other. Still, a great beginner’s razor. The Merkur Model 180 is yet another 3-piece safety razor. One of the defining characteristics of this model is the long handle with it’s textured finish. It gives a much better sense of control and performs better when wet than most of the other smooth chrome finishes I’ve used before. 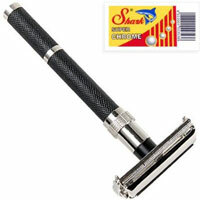 This razor combines price and quality. While it may not be as cheap as the 1904, at $40 it’s still a strong contender for the first-time safety razor owner. 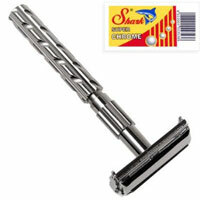 It has an open-comb bar and is made for a double edged blade for that perfect shave. Yeah, okay… So, these three-piece designs take a little more work to change out the blades, but isn’t that part of what makes us a guy? Our insatiable need to take things apart, fix them, then put them back together? The Parker 99R is an all-in-one razor with a turn to open handle. This design requires you to turn the handle in order to open the head and replace the dull blade. The Parker 99R is called a ‘Super Heavyweight’ razor for a reason. 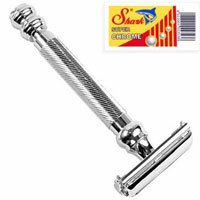 With a textured chrome finish and a large base screw at the end of the handle, there are a lot of heavy parts that add to the weight of this razor. 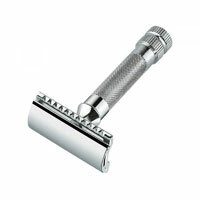 The closest razor to this one would be the Merkur Vision and it’s the largest safety razor in production, to date. If you want that ‘manly man’ feel, this is the razor for you. The sheer weight of it and the twist to open design can easily make you feel like you’re working out in the garage. 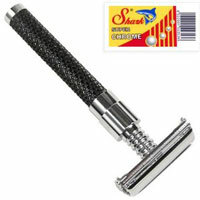 With a generous price point, around $30, it’s a sturdy and aesthetically appealing shaving tool. So, you want a heavyweight razor without the mile long handle to contend with??? Try on the Merkur Heavy Duty #34C on for size. This razor is a 2-piece shaving tool that seems to follow your direction easily. The handle and base-plate are connected and the head inserts into said handle, attached by an internal screw. The screw is tightened by a knob at the base of the handle that you loosen and tighten to clean the tool and change the blade. Also pretty affordable, the price point of this little two-piece beauty is right around $50. Not bad for a close shave and great maneuverability.